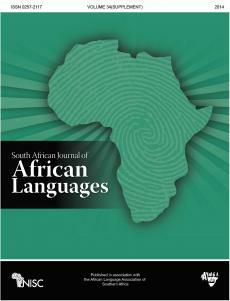 The imperative for indigenous language media in post-independent Africa has been widely researched and underscored. Although the use of indigenous languages is celebrated and considered to enhance the communicative and informative purposes of the media, a ubiquitous and relentless concern remains regarding the low status, marginalisation and exclusion of indigenous languages in African media systems. Focusing on the indigenous language press in Zimbabwe, Kwayedza and uMthunywa, we question the significance of their ostentatious news headlines against the dominant scholarly arguments for indigenous language media in Africa. Juxtaposing Kwayedza and uMthunywa alongside mainstream English newspapers, The Herald and The Chronicle, we interrogate the framing of news headlines and the prominent themes reported on. This article is framed around the concepts of language development, linguistic decolonisation and communication for development. The article exposes the nuances of marginalisation of indigenous languages and the exclusion of indigenous language press readers from nationally significant political and socio-economic development issues. We advance the argument that the indigenous language press in particular and the media in general must engage in people-centred communication, that is, communication that inspires and details local people’s needs and ambitions, and also foregrounds contemporary and broader political and socio-economic development matters affecting the nation.